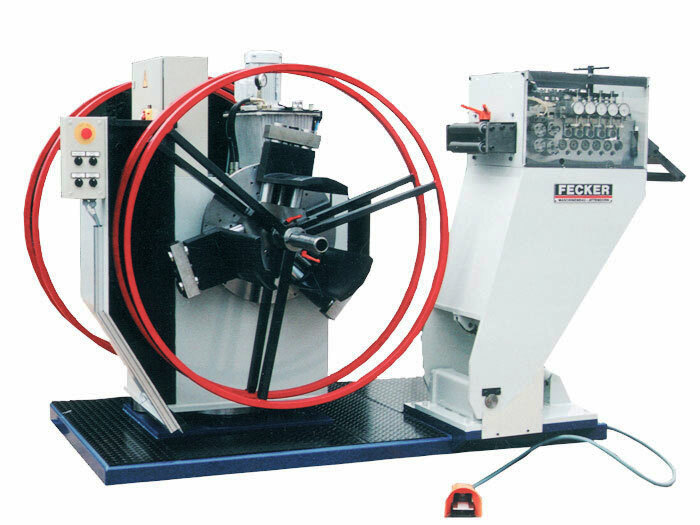 This machine serves mainly to uncoil and straighten strips with a large cross-section. 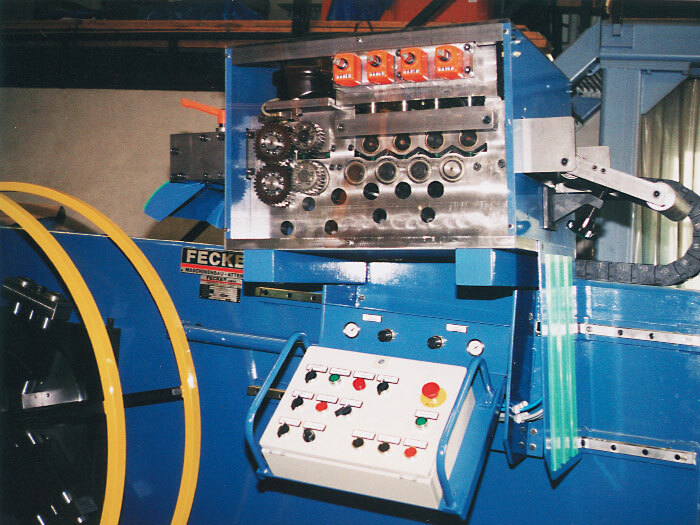 The special feature of this machine is the safe, fast and easy introduction of the beginning of the strip from the decoiler into the straightening machine, and from the straightening machine into the press feeder and strip loop variation. The straightening machine has a multi-motor drive (hydraulic motors). 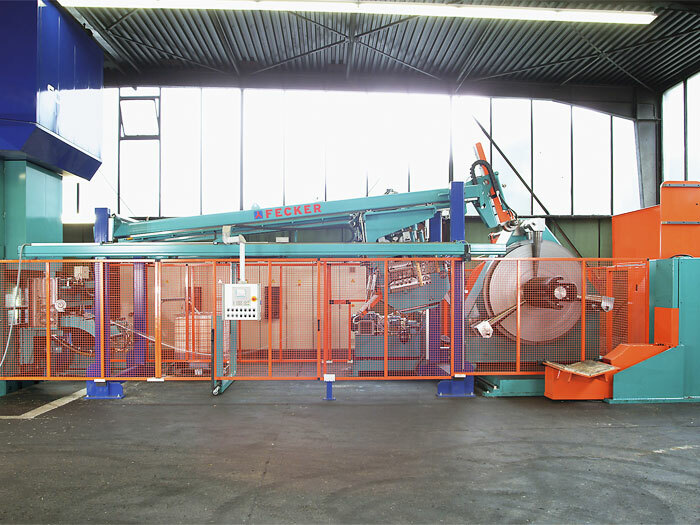 This ensures optimal load distribution over the whole mobile mechanism of the straightening machine. An ultrasonic analoguesensor is used for the loop control. The strip speed is adjusted automatically, independently of the number of strokes of the press and the feed length. The straightening machine is fitted with a hydraulically operated lead-over table, and can be fitted with an alligator head. The straightening machine is motor-driven. In the end positions the drive is automatically switched to an adjustable creep speed.